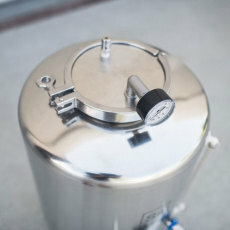 A piece of pro brewing equipment, now available for homebrewers everywhere! 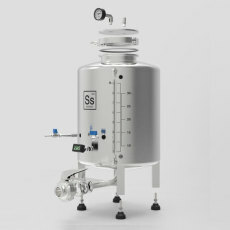 We are proud to bring you the 10 Gallon SS Brewtech Brite Tank! 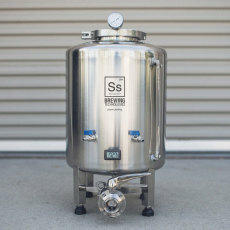 This tank is what the pros use for beer clarity, carbonating and serving. 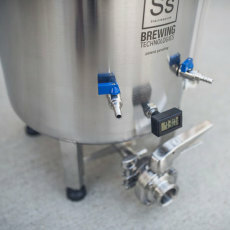 With this brite tank from SS Brewtech, you can do all those things yourself! This thing has a million features! 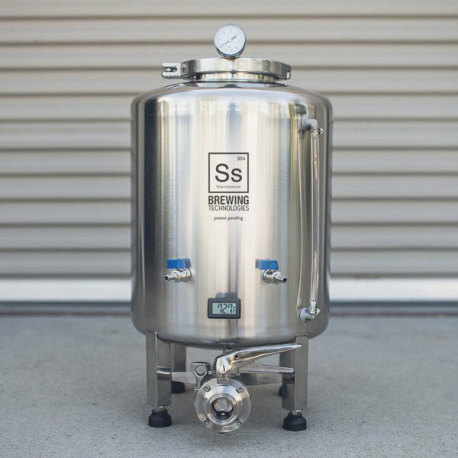 In addition to being made of high-quality 304 stainless steel, the bottom of this brite tank is curved, just like the one the pros use. It has an operating pressure of 15 PSI, carbonation stone, pressure gauge, pressure relief valve, sight tube, etched volume markings, thermowell, sampling valve, custom short handled butterfly valve, adjustable feet, 6 in. tri-clamp lid and clamp, and LCD temperature display. 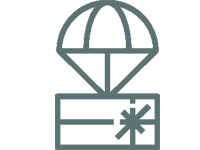 You can put it in a refrigerator, or use it with the optional cooling kit! Quickly carbonate beers with the carbonation stone like the professionals do, as this vessel allows for proper burst carbonation and head pressure monitoring. 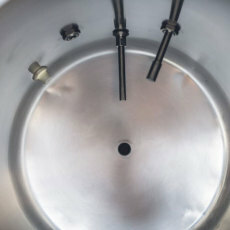 You can bulk age and condition in the brite tank, and serve from the tank as well! Carbonation stone included - carbonate like the pros do! Sight tube and exterior etched volume markings - know how much beer you've got!